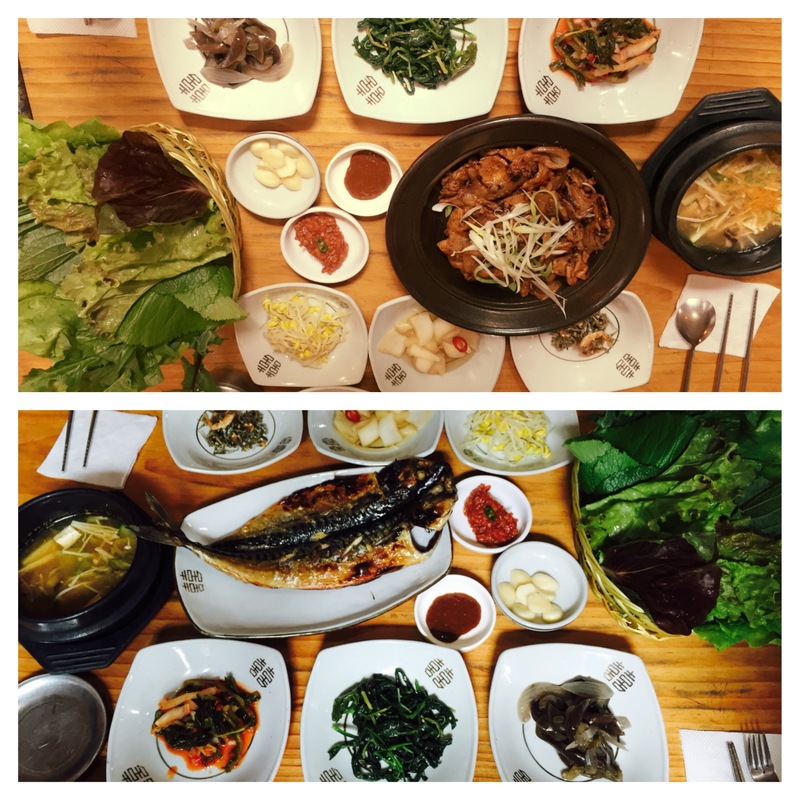 Here’s a run down of the food we tried in Jeju. 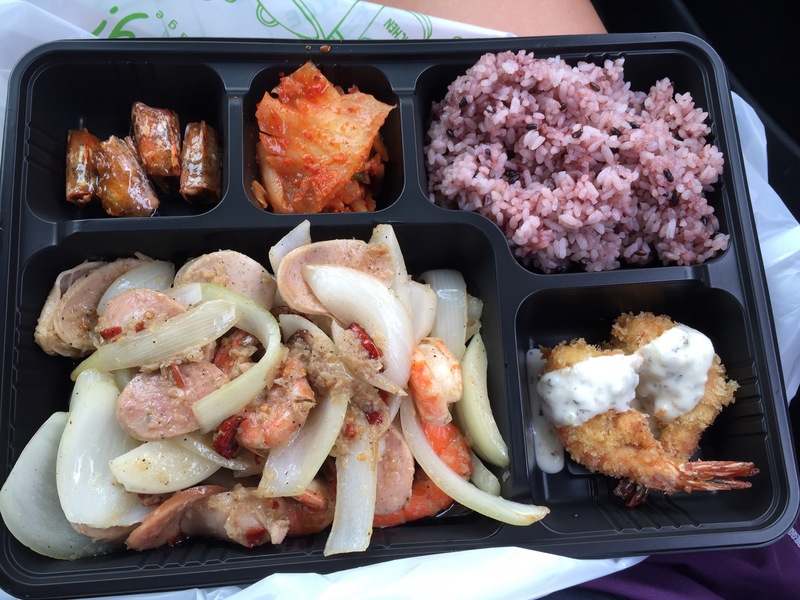 When you arrive to Jeju, I would recommend stopping in at Steve’s Truck Shrimp. It’s only about 15 minutes from the airport and you’ll get some tasty shrimp to fill up your tummy. 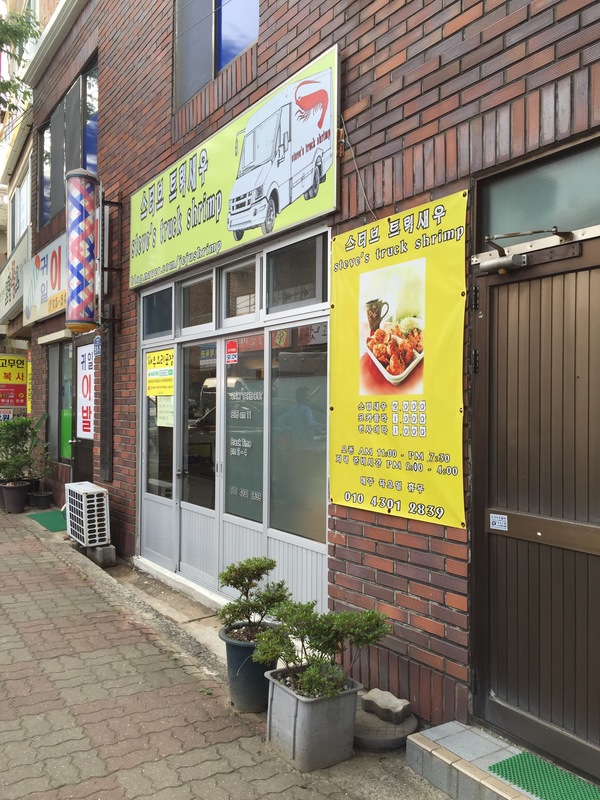 They are also open pretty late, which seems rare for most Jeju restaurants. You can get the shrimp fried or sautéed in garlic. We ordered the sautéed one for 9,000 won and the shrimp was sautéed with sausage and onions, yum! The meal also comes with some fried shrimp, kimchee, fried shrimp heads and rice. It totally reminded us a little of Hawaii. Note they speak very limited English. They also have mandoo (which was pretty good) and a pancake roll. We weren’t sure what was inside the pancake so we ordered 2. It was just marinated radish, which was a little disappointing since I thought they would put some pork hock slices in it. A little further down the coast from Steve’s truck shrimp (about 15-20 mins) is Cafe Tahee. Their specialty is fish and chips was only 13,000 won. The breading on the fish was light and the fish was very meaty. 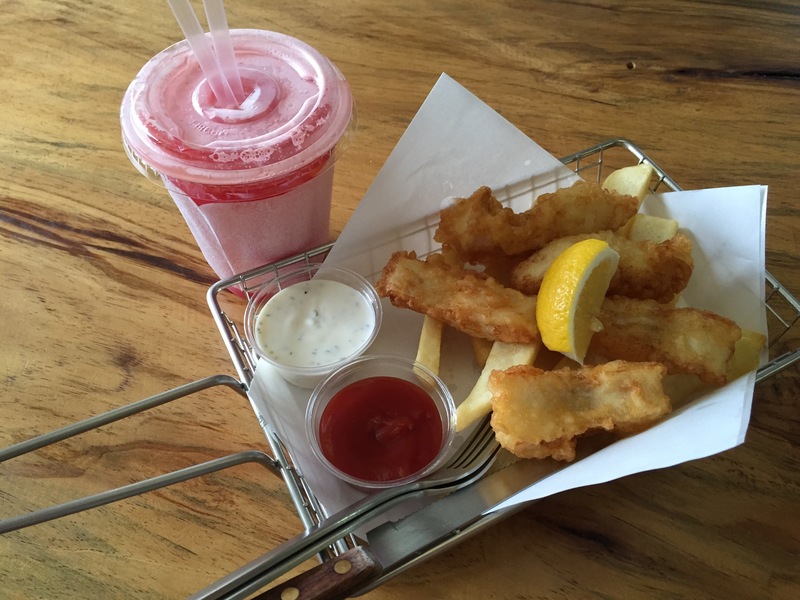 When they told me the fish was a saltwater catfish I was very surprised as I don’t like freshwater catfish at all. I also really liked their tarter sauce as it had a good tang to it. They also serve some juice drinks (Watermelon juice and Mango shake). The employees speak great English, so no worries here. 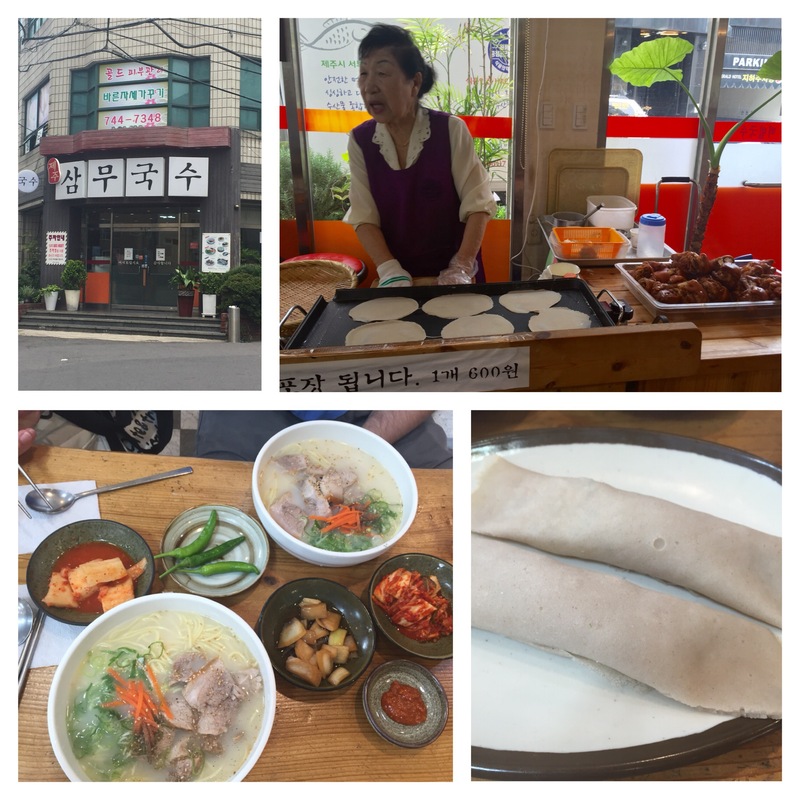 While on our way to the Daheeyeon Green Tea Plantatiom we stopped in at TTeulhyanggi (뜰향기) restaurant. The employees don’t speak any english, but luckily I knew what we wanted: the grilled fish! We saw a neighboring table had one and pointed at it and our waitress pointed to the 1st item on the menu, the Sanchae-jeongsik (쌈채정식). It was 19,000 for 2 people. Apparently Sanchae-jeongsik is a set meal with a variety of mountain vegetables in the form of various banchan. It came with the fish, a soybean soup, some lettuce leaves and rice. It was delicious! Many people also ordered the 2nd item on the menu, a thinly sliced marinated pork. 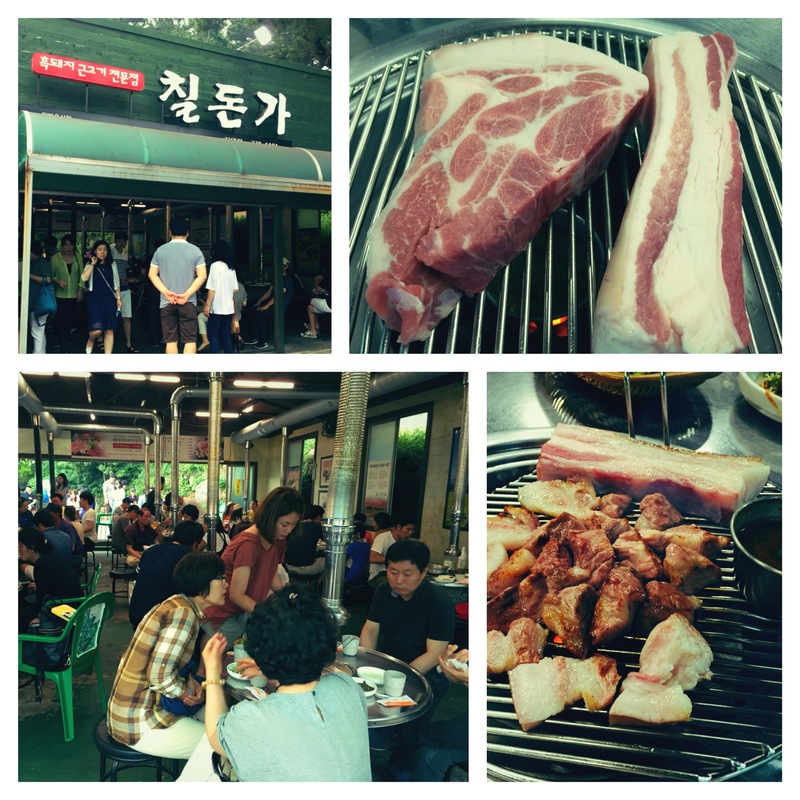 In addition to seafood, Jeju is famous for its black pork. The pork itself is not black, just the hair on the pig is black. The meat itself looks almost the same as regular pork except that is a little more red. We stopped in to Childonga (칠돈가) which is also located close to the Jungmun resort area. When we arrived at 6:30 PM the parking lot and restaurant were packed! We waited about 30 minutes for a table. They specialize in the black pork, so of course that’s what we ordered. The black pork itself has quite a bit more flavor compared to the mildness of regular pork. A 2 person portion was 50,000 won so this is not something you’ll be eating regularly! Only 1 person there really spoke English, but everyone was very helpful. 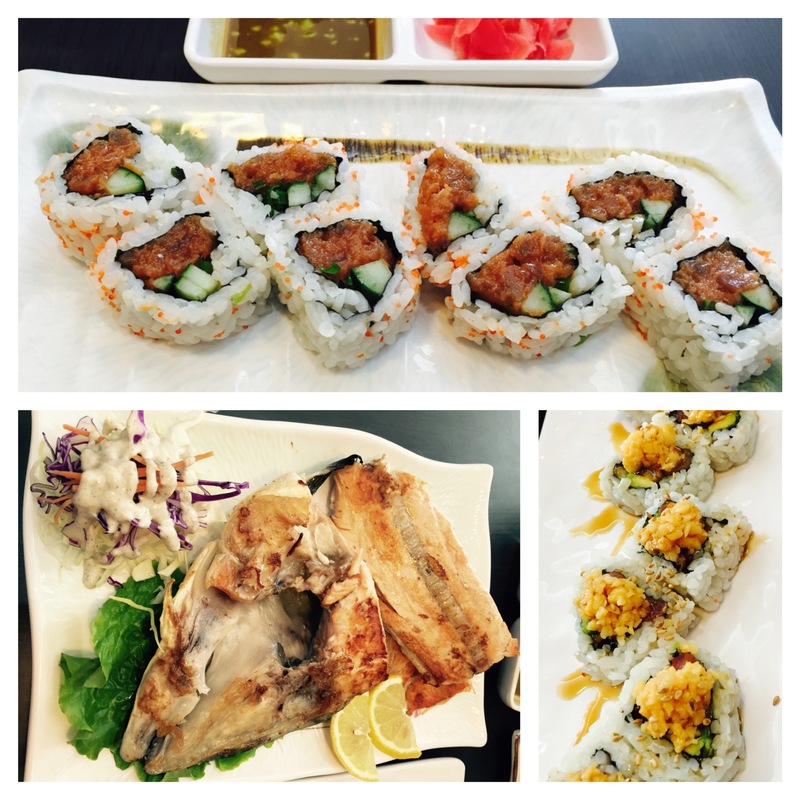 To mix it up some, we tried sushi at America’s Roll and Sushi. It is also in the Jungmun Resort Complex area. The fish was fresh and they had a large selection of rolls. We also tried their Salmon neck, which was grilled very nicely. They speak some English and were pretty helpful. 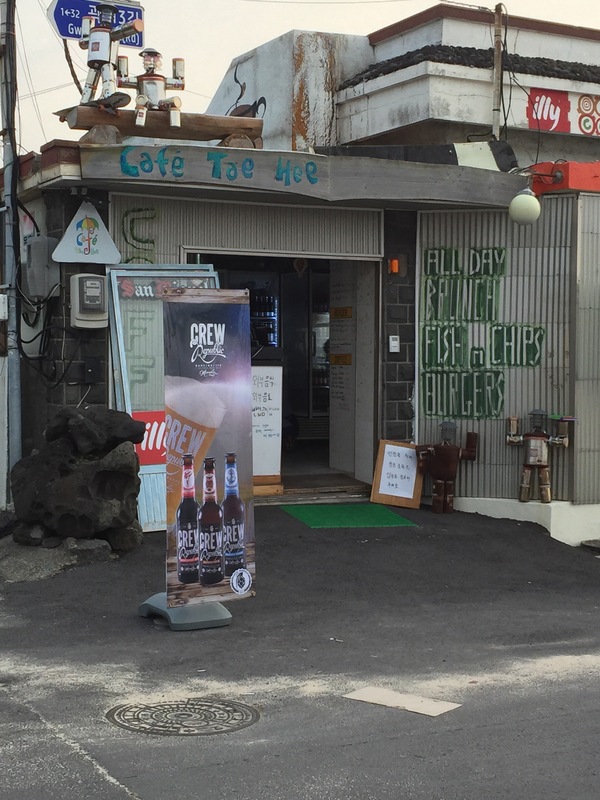 If you know of any yummy eats in Jeju, let us know for the next time we visit! I enjoyed your post! 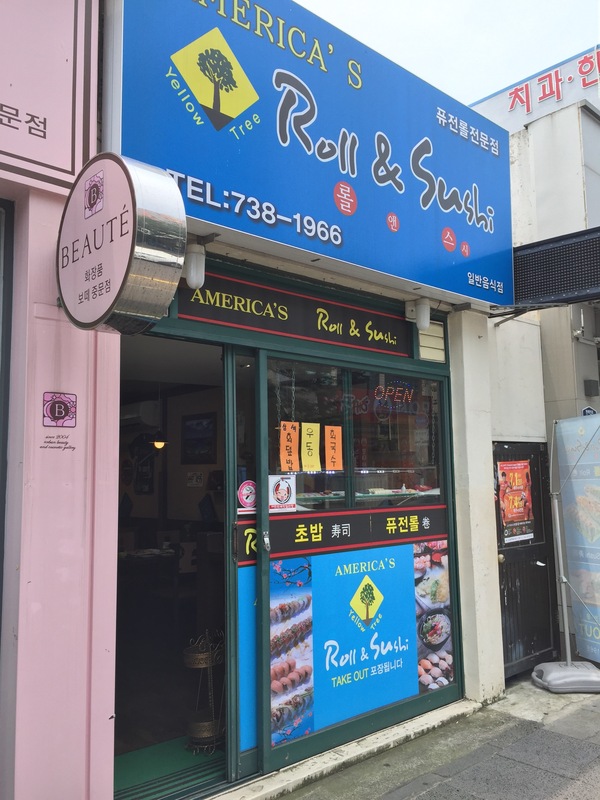 I just got back from Jeju and also ate at America’s Roll & Sushi. I posted an article about America’s on my newly launched site, please check it out! http://www.thebrazengourmand.com. Cheers!